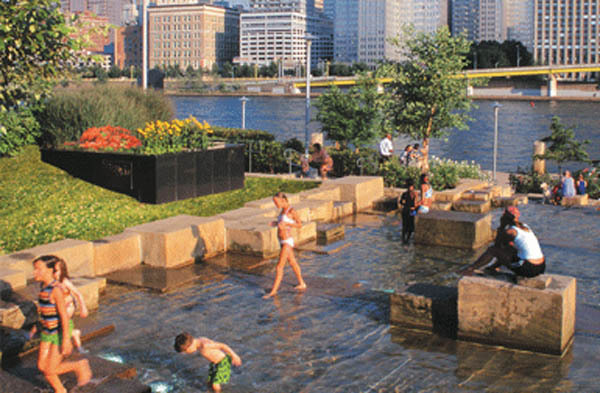 Pittsburgh is a world leader in economic development based around parks and clean recreational spaces, and they’re going to show-off their success at the 2008 International Urban Parks Conference, Sept. 21-23. It's a great opportunity to see what they did, the results, and how we can do it in Memphis. A statewide sustainability plan is being drafted, and you can participate. The goal is a plan that promotes economic development, equitable prosperity and responsible environmental stewardship. On Sept. 19 & 20, the West TN forum will be held at the Fogelman Center at the University of Memphis. The program includes presentations and interactive seminars and culminates with participants ranking the 10 most pressing regional priorities. If you’ve been wondering how to celebrate Labor Day weekend – wonder no more. The Center for Southern Folklore has made all the plans for a Memphis-style celebration, and it's all family friendly and free. When? Aug. 30 & 31, 11 a.m. – 11 p.m.
Where? In the center of downtown, running along Main Str. from Peabody Place to Gayoso. Fresh opportunities on the horizon! Sunday’s Commercial Appeal (8/17/08) cites the easement protecting public use for the Public Promenade, and points out how the 4 blufftop blocks are pivotal to downtown’s redevelopment. It encourages all of us to talk together, as a community, about how The Promenade can become a vital part of a vibrant Memphis Riverfront. The editorial and article are pasted below.